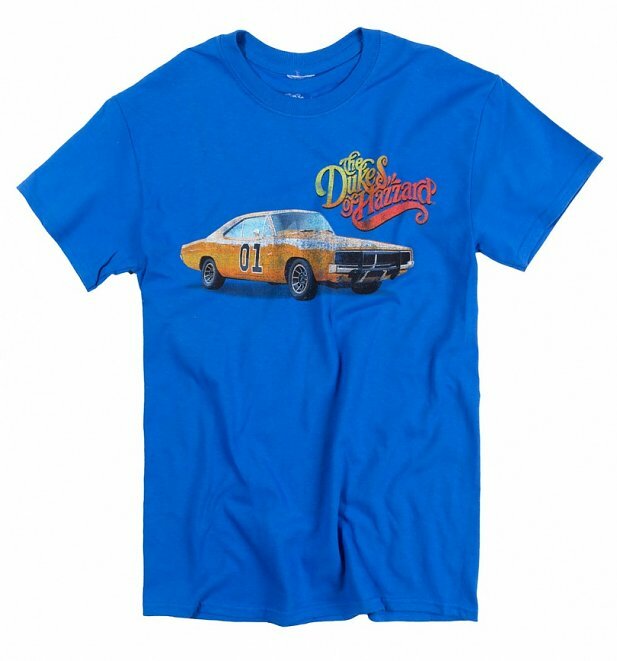 A classic Dukes Of Hazzard tee, this design shows Sheriff Rosco P. Coltrane, Boss Hogg, Daisy Duke, Bo Duke, and Luke Duke alongside the show logo. 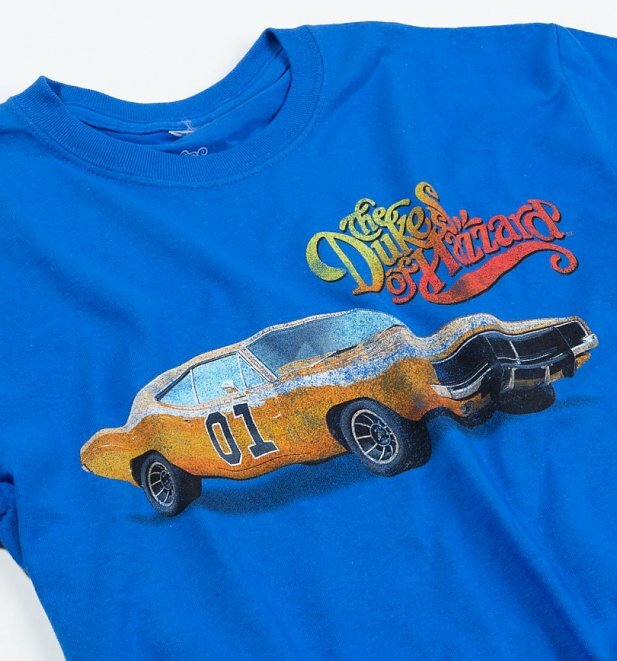 Powering across the front of this awesomely retro tee is the good ol' boys' Dodge Charger, the General Lee. Did you know that the car received 35,000 fan mail letters each month!